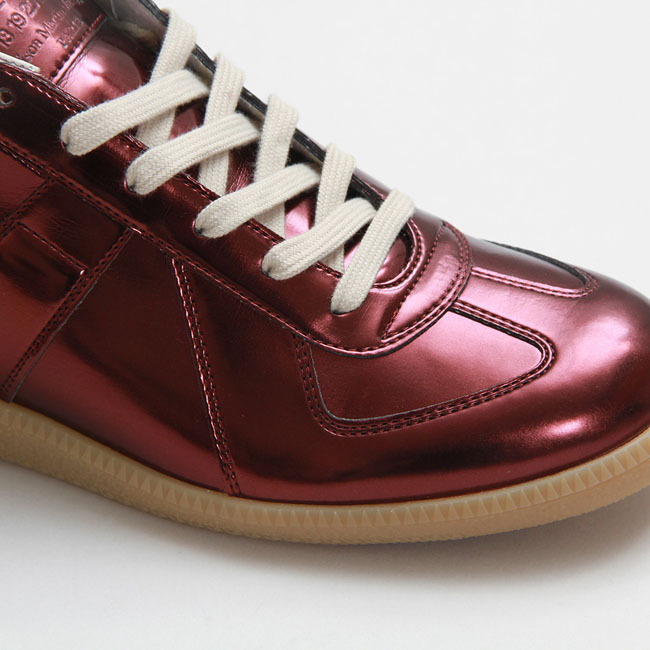 Maison Martin Margiela may not have invented the German Army Trainer, but they constantly find ways to keep it relevant. 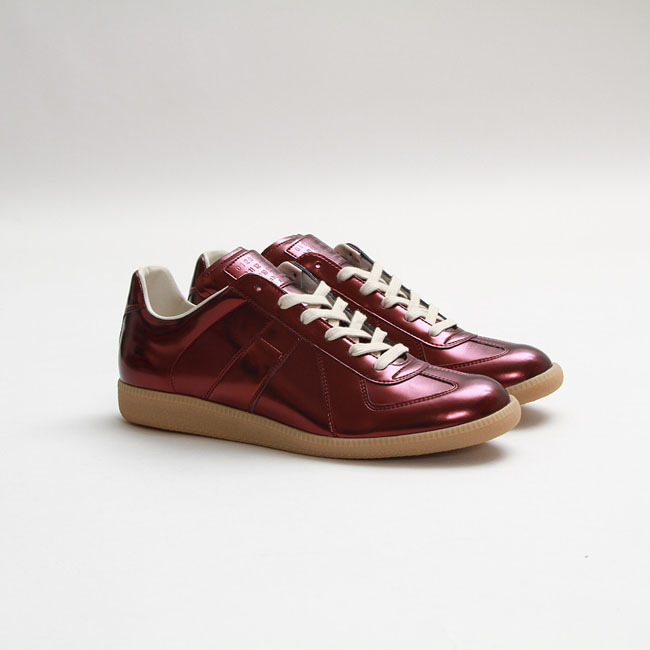 The German Army Trainer may not be an original design to Maison Martin Margiela, but through constantly exploring what's possible with materials and colors, they manage to release interesting new models every season. 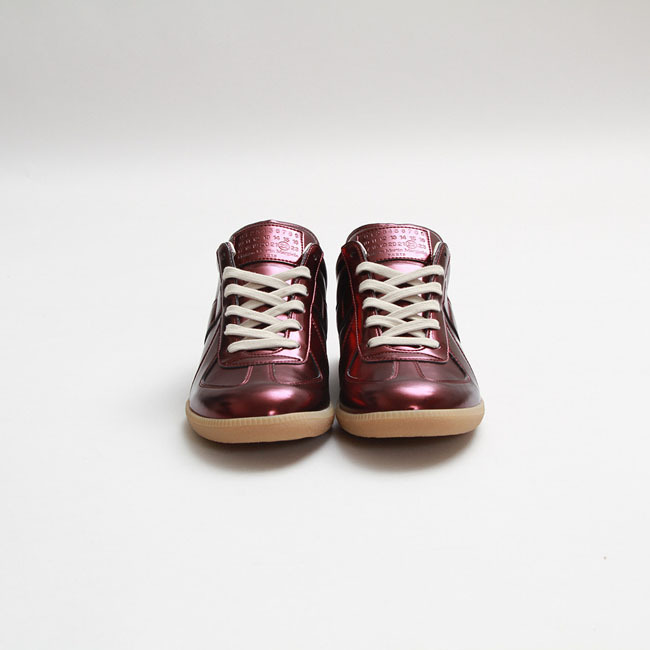 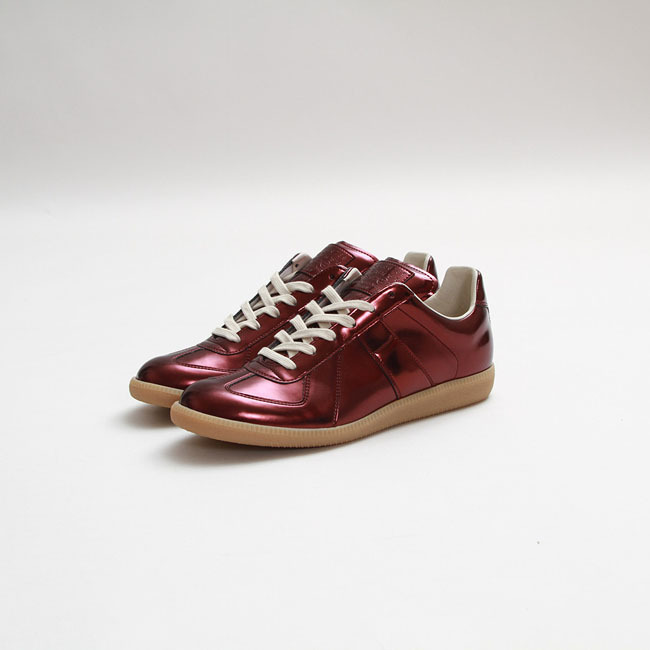 Their newest edition of the GAT, available now at Boston's Concepts, and retailing for $495, features a Metallic polyurethane-coated cotton upper, which creates a patent leather-type effect. 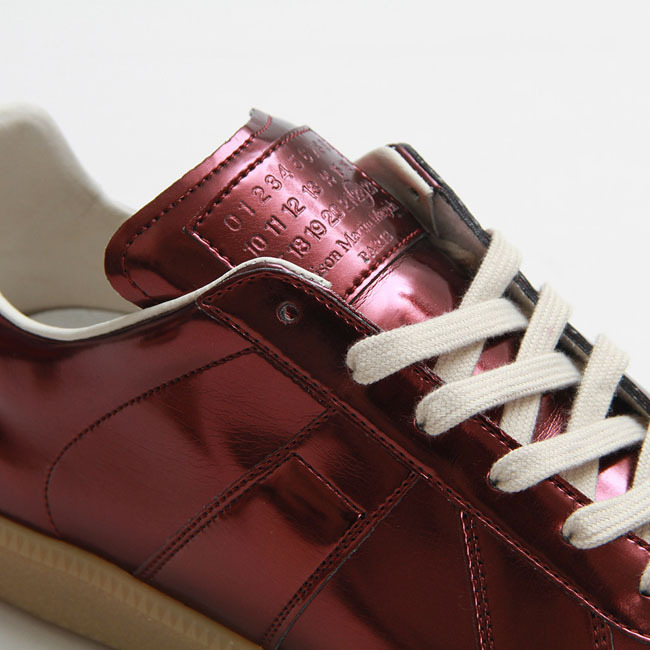 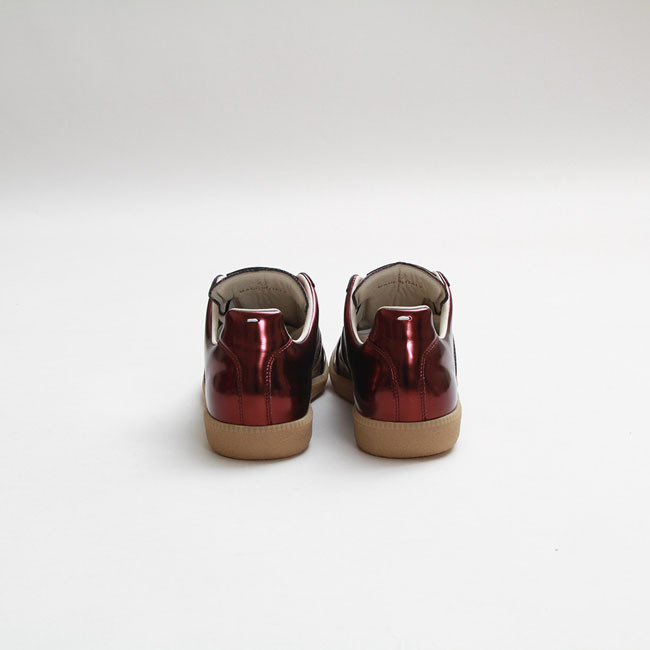 Additional details include a leather lining, a standard gum outsole, and the brand's signature stitch on the heel.